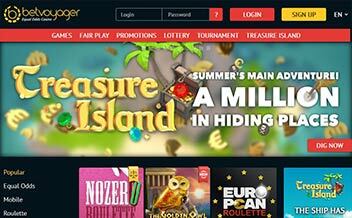 Betvoyager is an online casino that offers a vast range of gaming selections to players. The Casino features a proprietary set of games including slots, table games, and video pokers. It is one of the few that uses Randomness Control technology, allowing players to know that the results of every game are genuinely random without having to refer to a third-party audit. The Casino was established in 2007 and is owned by Gamesys Ltd. Casinos. The casino features a proprietary set of games including slots, table games, and video pokers. 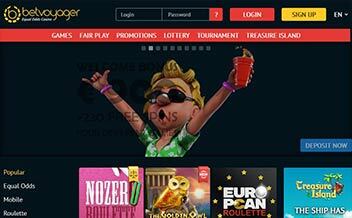 Betvoyager is one of the only casinos where you can witness that you are getting a fair game. The casino’s Randomness Control feature gives you proof that slot reels, decks of cards, or any other game elements are randomly generated. Being in the market for over a decade, it has a charming reputation among gamers. All sensitive communication is protected with industry-standard 128-bit SSL encryption. 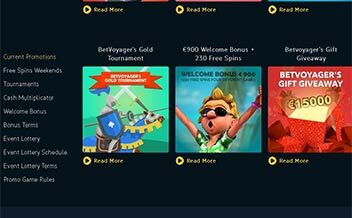 Betvoyager has a unique welcome offer for newly registered players – 900 Welcome Bonus + 230 Free Spins on four different selected games; On registration, you get 5 free spins on More Gold Diggin’ absolutely free, when making the first deposit you get 100% Bonus up to 200 Euro and 100 free spins on Sugar Pop 3D Slot, on the second deposit you receive 75% Bonus up to 300 Euro + 75 Free spins on Gypsy Rose 3D Slot, and on the third deposit you receive 50% Bonus up to 400 Euro + 50 free spins on Rook’s Revenge 3D Slot. The most popular slot games at Betvoyager include; Airplanes, Rush4Cash, Fortune Bell, Refrigerator, and Seven Wonders of the World. Each slot has its own distinctive look and feel, and many offer unique bonus features. Table game gamblers are also in the starting line-up. The table games at Betvoyager are some of the most diverse around. Roulette players can choose from American, European, Multi-Wheel, Express, and No-Zero variants. The blackjack variants include European, American, Double Exposure, Doublet, Diamond, and Blackjack Switch. Other games include; Oasis Poker, Q Poker, Casino Hold ’em, Baccarat, Craps, Caribbean Advanced Poker, and many others. Betvoyager offers six video poker variants. These are Jacks or Better, Tens or Better, Aces Faces, Joker Poker, Double Joker, and Deuces Wild. Like most of the games in the casino, these can all be played in either normal or edge-free modes. The VP junkies are assured of an unmatched experience in this section of the Casino. 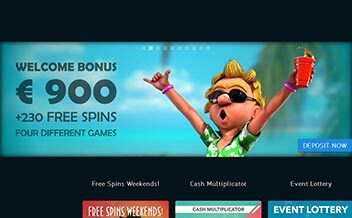 The Casino uses Randomness Control technology, that allows players to know that the results of every game are genuinely random without having to refer to a third-party audit. Bank Transfer, Neteller, Mater Card, Visa Electron, Skrill, Visa, GiroPay, Visa Debit, Maestro among others. Betvoyager Casino runs on various browsers such as Mozilla, Chrome, and Opera. 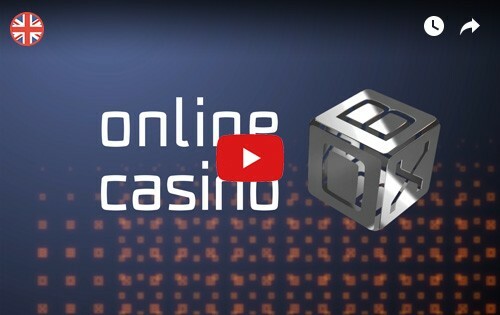 The Casino is also available in instant play and can be downloaded for use on windows and Android Devices. Bet Voyager Casino has a solid reputation and a unique platform with some very interesting table games and video poker variants.